In these days, many people are tormented with headache about transmitting text messages from the old phone to the new one, especially the cross-system transferring. Due to the relatively closed iOS, even if the iPhone support bluetooth, it can only be transmitted data to devices with the iOS systems. What’s more, not all devices in the iOS can be exchanged information with each other freely. Transferring data between phones which are used the same systems is such a large problem, let alone the cross-system transferring. So I am here to save you from the mass, this passage is about transferring iCloud Messages to Android. Text messages are so important, which may include your chat transcripts with your family, friends, colleagues as well as records for your various types of trades. It’s more important for businessmen because they possibly maintain cooperative relationships with their clients by sending SMS. 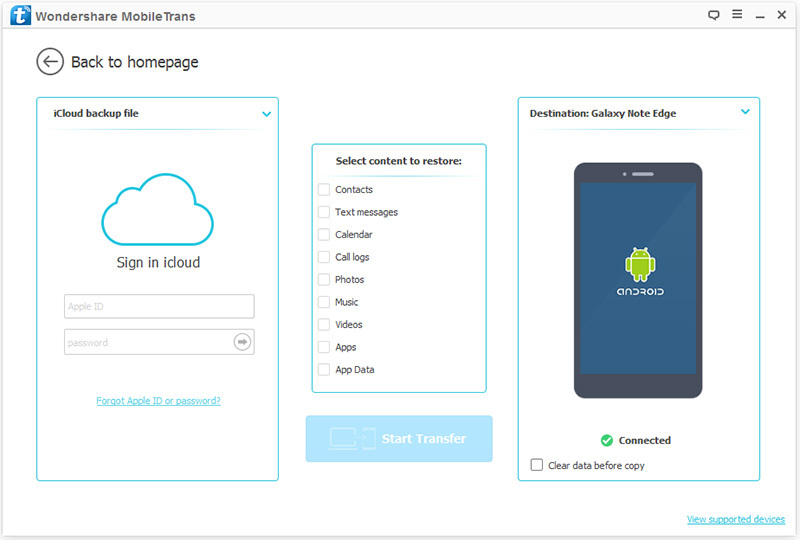 This powerful tool – Phone Transfer enables you to transfer text messages between two phones with different operating systems such as Android, iOS, WinPhone, BlackBerry and Symbian with just one click. Text messages that involve with recipients, senders, texts and photos can be easily and perfectly transferred, and you don’t need to worry about the using process and mastery. So let’s appreciate its powerful function thereinafter. Step 1. After finish downloading this app – Phone Transfer, start it and click “Restore From Backups”, which is below the green area. Step 2. Press the blue bottom (or the arrow), and then click the icon “iCloud”. 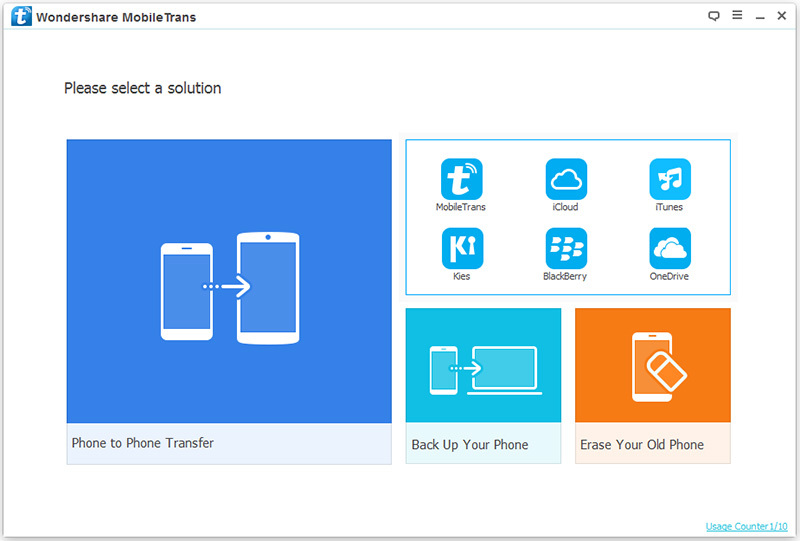 Note: Previously backed up SMS created by other mobile managers, like iTunes, Blackberry, Samsung Kies, Android Transfer are all supported. Step 3. Connect your Android device to the computer via USB, and log into you iCloud account, then in the left box you can see all iCloud backup files. After having chosen your wanted messages, press the download button. Note: If your Android device is connected, you will see a green circle with a tick in the right box. In the process of iCloud backup downloading, keep your computer online and keep yourself patient because it may take some time. Step 4. You can see your files containing your selected messages are shown in the middle box. Tick what you need and press the blue button “Start Copy “. The method I recommend above is through using this powerful tool – Phone Transfer. As you can see, all you need is just your iCloud account and a USB cable. You don’t have to go through a long and complex process and you can sit in front of your computer and click with the mouse, which is this app hopes to bring us – convenience. Last but not least, you are supposed to cultivate a habit of cloud backup at ordinary times so as to ensure the data can be completely and perfectly transferred. If you have some questions, I hope you could express them in the in the comment area.